It is with great excitement that we announce our newest President of the American Board of Cosmetic Surgery (ABCS), Dr. Jacob Haiavy! Dr. Haiavy is taking over for Dr. Samir Pancholi, who served the ABCS as president for several years. As we embrace our new future with Dr. Haiavy as acting president, the American Board of Cosmetic Surgery offers a heartfelt “thank you” to Dr. Pancholi for his years of service. Dr. Haiavy attended New York University, graduating with the most prestigious honor, the Alumni Medal, for his scholastic achievement of maintaining the highest grade point average for four years. Upon graduating he attended Mount Sinai Medical School in New York, where he completed an internship in General Surgery. Through his formative years of graduate education, he discovered his affinity for cosmetic surgery and facial reconstruction. He continued his training, specializing in maxillofacial surgery with an emphasis on cancer reconstruction and cosmetic surgery. Following his residency, he worked and trained extensively alongside former American Academy of Cosmetic Surgery president, Howard Tobin, M.D., in a general cosmetic surgery AACS certified fellowship. Since 2001, Dr. Haiavy has practiced cosmetic surgery in Rancho Cucamonga, CA as the medical director of his own practice and fully accredited surgery center. Dr. Haiavy has a passion for teaching and hosting live surgeries for visiting physicians from all over the world at his facility. Additionally, he directs a full body and facial cosmetic surgery fellowship training program certified by the American Academy of Cosmetic Surgery. 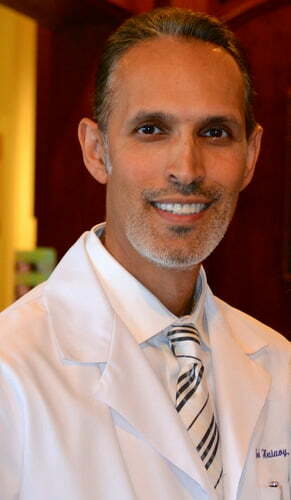 To learn more about Dr. Haiavy, please visit his site.